Dr. J.L. Downing, Sr.is the senior pastor of Greater New Jerusalem Church, a diverse congregation to which he leads with excellence and integrity. His thriving ministry has a practical Word that connects with an ever changing generation. He is a respected spiritual leader, a highly sought after orator and humanitarian, dedicated to ministering to the people of God holistically. He is resolutely committed to outreach, by providing programs and resources to the less fortunate. Dr. Downing has genuine and distinct passion for teaching, and serving the people of God. Though this dynamic man of God has received a myriad of accolades and has multiple degrees, including an Associates of Science Degree Polk Community College Business Data Processing, a Bachelor of Science Degree from Liberty University in Business Administration, a Master of Theology, a Doctorate of Ministry, from Bethany Theological Seminary and a PhD in Christian Counseling and Honorary Doctorate of Humane Letters from United Bible College and Theological Seminary. He is available for Church Revivals, leadership workshops and a many other church oriented training. Pastor Downing’s 30 years of ministry have been anointed by God and personifies Ephesians 3:20 “Now unto him that is able to do exceeding abundantly above all that we ask or think, according to the power that worketh in us”. His exegetical style of preaching also connects with the hearts of thousands of those hungry for the restorative truths of God’s Word through weekly radio broadcasts. 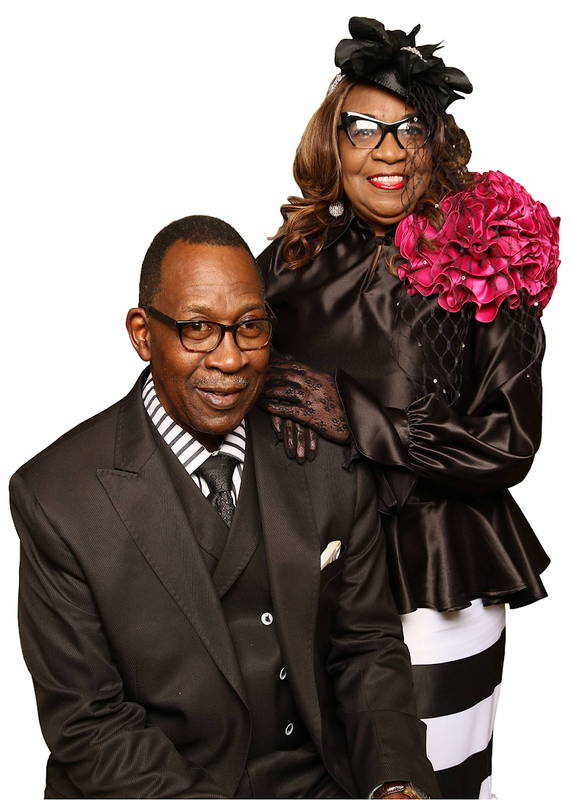 But at the heart of this great man of God is his love for his family, He is honored to be married to Sheryl H. Downing and they have four children, Minister J.L., Jr. (Shenita), Jamie, Sr. (Gina), Dr. Meesha, and Minister Tarvares (Nicole) and eleven grandchildren. Sheryl Downing, affectionately referred to as “Lady Downing,” is the wife of Pastor J.L. Downing, and the First Lady of “Greater New Jerusalem Baptist Church. A Christian woman of virtue, poise, and grace, Lady Downing is known for her endless love and wisdom, which she pours unreservedly into the women of the Church. Lady Downing holds her undergraduate degree in Organizational Management from Warner Southern University, as well as a Master’s degree in Educational Administration and Management from Nova Southeastern University. She has an honorary Doctorate from United Bible College and Theological Seminary. She is the director of Women’s Ministry, Senior’s Ministry and Couples Ministry. She has been employed with State Farm Insurance Company for over 36 years. She is a member of Omicron Kappa Omega Chapter of Alpha Kappa Alpha Sorority, Inc.; Toastmasters International and NAACP. Her passion is ministering to women who are broken and hurting and assisting them in achieving spiritual and emotional wholeness. Lady Downing is a woman of true character, and she handles her obligation to serve in ministry alongside her husband with superb devotion. She takes her responsibilities as a wife, mother, grandmother, and servant of the kingdom very seriously.